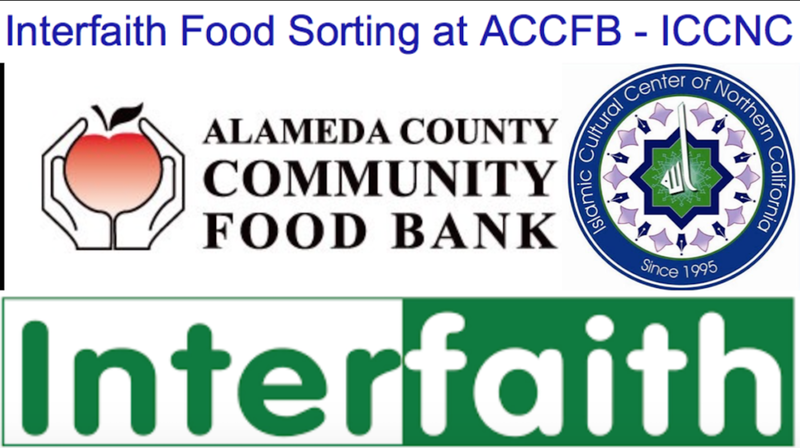 ICCNC: Volunteers Needed for Interfaith Food Sorting at ACCFB - Friday, Dec. 30, 2016, 8:30-11:30 a.m.
ICCNC will be working with Christian and Jewish congregations to combat hunger in Oakland by sorting and bagging foods at Alameda County Community Food Bank (ACCFB) in Oakland on Friday, Dec. 30, 2016, from 8:30 to 11:30 a.m. Please be there at 8:20 a.m. to register and get to know the other volunteers. ACCFB address is 7900 Edgewater Drive, Oakland, CA 94621. Phone: (510) 635-3663. Please wear comfortable warm clothes and closed-toe shoes. For more info about ACCFB please go to http://www.accfb.org/volunteer.html.